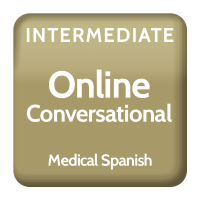 This Video Viernes lesson focuses on learning how to ask Patient Intake Questions and talk through patient intake information in Spanish: Preguntas para Ingresar al Paciente. 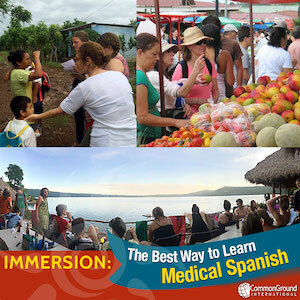 In this lesson you’ll notice that talking through basic patient demographic information on your intake forms requires a good command of numbers and requires special focus to comprehend numbers when given to you in Spanish. 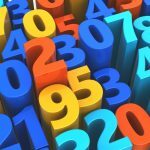 We’ll focus on numbers more in our next lesson. When talking to Spanish speakers you will notice that dates and numbers are used differently than how we use them in English. Dates in Spanish follow the European order with the day, month and then the year. You separate each part with a “de”: Cinco de julio de 1976. Numbers in Spanish are a little different as well. In English, you’re likely used to giving people phone #s and other info digit by digit. However, in Spanish there is a tendency to use the natural number or some convenient grouping of two. For example, my phone number in Spanish would be: (303) trescientos tres – (6) seis – (84) ochenta y cuatro – (55) cincuenta y cinco – (57) cincuenta y siete. Of course you’re free to communicate numbers in any way you prefer and people will understand them. The difficult part is comprehending numbers when you’re trying to collect them from a Spanish speaker. ¿Cómo se llama? / What is your name? …fecha de nacimiento? / Birth date? …número de teléfono? / phone number? ¿En qué trabaja? ¿Dónde trabaja? What do you do for work? Where do you work? 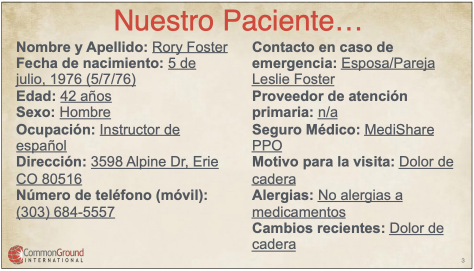 ¿A quién contactamos en caso de emergencia? Who do we contact in case of emergency? ¿Quién es su proveedor de atención primaria? 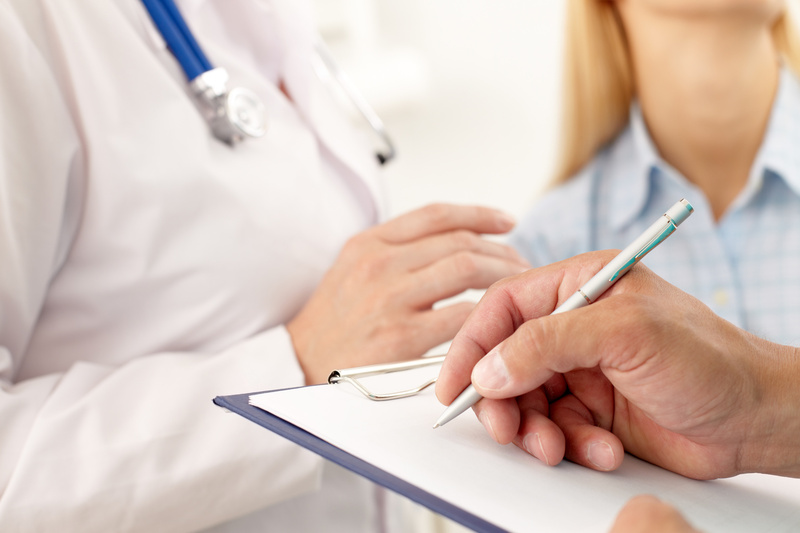 Who is your primary care provider? 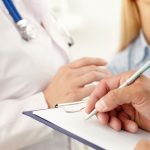 ¿Tiene seguro médico? Do you have insurance? ¿Cuál compañía? ¿Y su número de póliza? Which company? And your policy number? 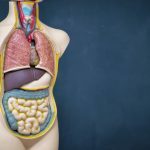 ¿Tiene alergias a algún medicamento? 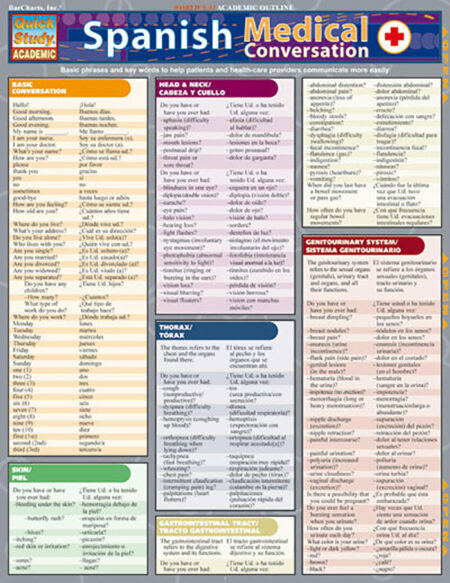 Do you have allergies to any medications? ¿Qué le trae a la clínica hoy? What brings you to the clinic today? ¿Cómo le podemos ayudar hoy? How can we help you today? ¿Qué le molesta hoy? Is anything bothering you today? 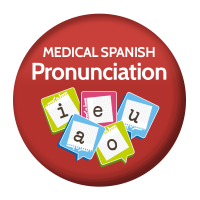 For a review of symptoms in Spanish, try using the present perfect form of the verb “notar” which means “to notice”. 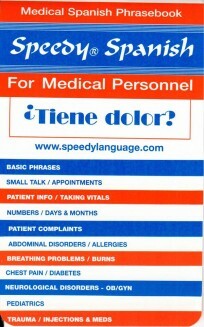 “Tener” (to have) is also a good verb to use for a review of symptoms. 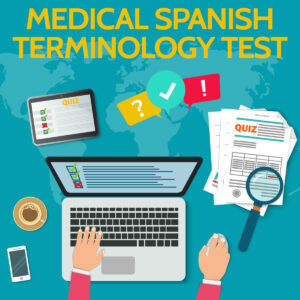 Here is how the question would be worded: ¿Recientemente ha notado (ha tenido)…? 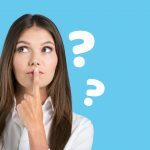 / Recently Have You Noticed (Had)…? …algún cambio en peso? …any changes in your weight? …tobillos/pies hinchados? ….swollen ankles / feet? …erupción en la piel? …any rashes on your skin? …dolor en el cuello? …neck pain? 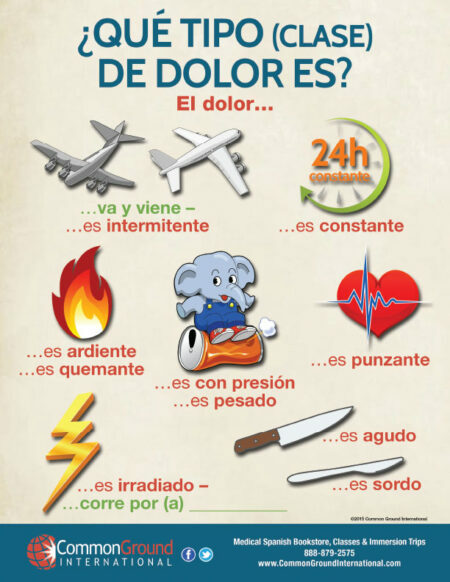 …dolor de pecho? …chest pain? …dolor de espalda? …back pain? …depresión / ansiedad? …depression / anxiety? …pulso rápido …palpitaciones? …Fast heart rate … … palpitations? 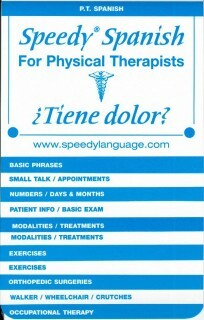 …dolor en las articulaciones? …joint pain? …dolor en los músculos? …muscle pain?